Five Dock Library is celebrating summer with a display of historical photographs and memorabilia of the Abbotsford 12 Foot Flying Squadron. 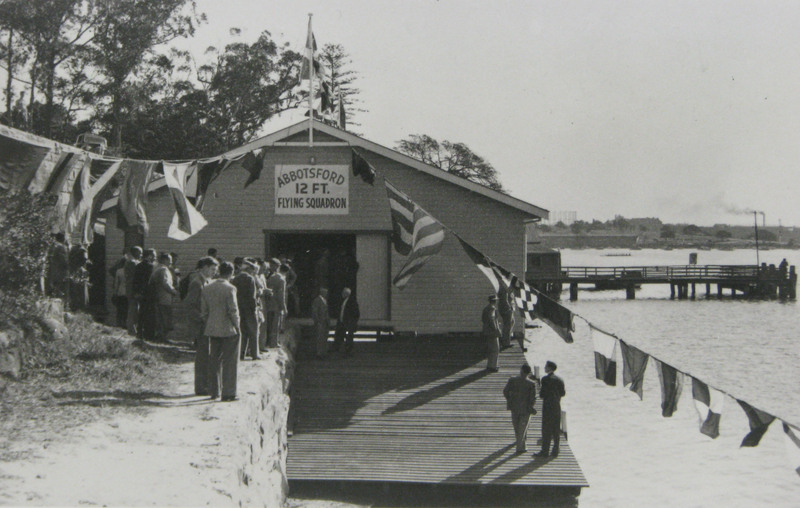 The club was formed at a meeting held at the Cabarita Park Kiosk on 6 January 1936 and was at first known as the Concord 12 Foot Flying Squadron. The search for a permananent home took a number of years and hard work by club members. Eventually the club was able to secure a site at Werrell Reserve, Abbotsford. Club members not only raised the money for a clubhouse but built it themselves, from excavating and sinking piers to pouring concrete to constructing the wall frames, flooring and roof. The Abbotsford 12 foot Flying Squadron clubhouse is shown above on opening day, 4 September 1954. The display will continue at Five Dock Library until the end of January 2014. On Christmas eve 1913, as the ship Aurora left Antarctica to return to Australia it was hit by a storm, making it ‘a very miserable Christmas’. It was two months before the ship arrived in Adelaide on 23 February 1914. So ended the remarkable exploration of Antarctica which had begun in 1911 under the leadership of Douglas Mawson. The Chief Medical Officer and Bacteriologist on the Australasian Antarctic Expedition was Archibald Lang McLean. He grew up in Five Dock where he attended Five Dock Public School. He graduated in medicine from the University of Sydney in 1910. The epic story of the expedition is recorded in Mawson’s book The home of the blizzard which is available for loan from City of Canada Bay libraries. Archibald McLean helped to edit the book for publication. McLean went on to serve in the First World War and was awarded the Military Cross. He died in 1922 at the age of 37 from tuberculosis, a result of his war service. 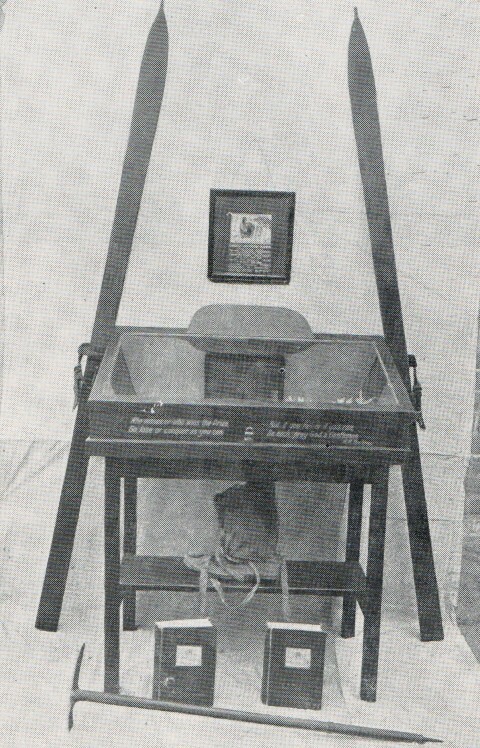 The illustration shows memorabilia from the expedition presented by McLean to Five Dock Public School. This memorial unfortunately no longer exists but his name is commemorated by McLean Nunataks, a geographical feature in Antarctica and a plaque at the University of Sydney. 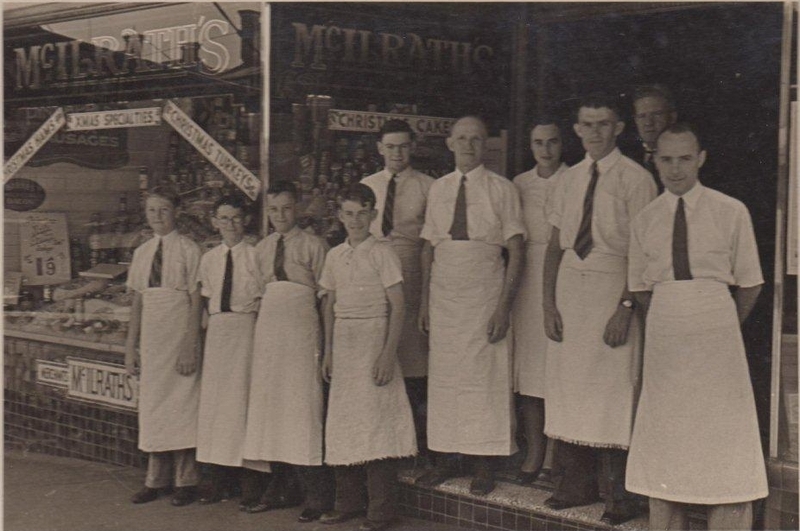 This contrasts with the photograph, taken a few years earlier, of McIlrath’s Grocery, 189 Victoria Road, Drummoyne when both food and staff were in plentiful supply for the Christmas season.